Ranpur is a picturesque location in the Khurda district of Odisha. 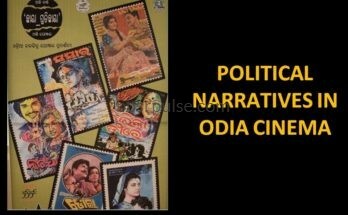 Its an ex-princely state and considered to be the oldest dynasty among all the 26 ex-feudal states of Odisha which merged with Odisha state in the year 1948. Ranpur name is derived from a demon’s name Ranasur who was the ruler here & his kingdom was known as Ranasurapura. It’s also known as Raj-Ranpur, Ranpurgada or simply Ranpur. The original kingdom stretched from Khurda to Kantilo. Ranpur name is mentioned in ancient texts like Kapila Samhita, Srimad Bhagawat etc. The present King of Ranpur is Raja Shri Dilip Chandra Singh Deo Bajradhar Narendra Mahapatra , the 182nd Raja Saheb of Ranpur since 1982. 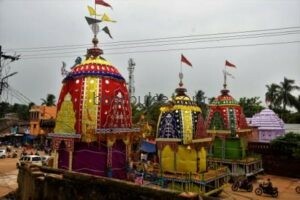 Since then, Jagannath and his siblings – Balabhadra & Subhadra are being worshipped there as per Puri’s rituals including Nabakalebara except the Rath Jatra which was introduced later on. Interestingly, besides the aforementioned bigrahas, small deities also adorn the golden throne known as “Ghar babus”. Beside the main temple, the deities of Sri Harihareswar, Brundaban Bihari Dev, Braja Bihari Dev, Radhakanta Dev, Mahalaxmi, Saraswati and Sri Ganesh have also adorned their respective temples and places as “Parswa Debatas”, some of whose names coincides with various of Ranpur King’s name – Braja Bihari, Brundaban Bihari etc. One good thing noticed while I travelled from Gadakhurda to Ranpurgarh, I noticed two temples/muths with same names Radhakanta and Kunja Bihari, both at Gadakhurda & Ranpur and both had muths in their towns depicting that pilgrimage was quite common to Ranpur. Patitapabana, Narendra Pokhari, 16 Kala, Beshas etc. In Puri the enclosures have four gates facing the cardinal directions, while in Ranpur there is only one major access from the east, while the northern one is reserved for the Ranpur king to have direct access to temple. Rest door are there but not so used in Ranpur. 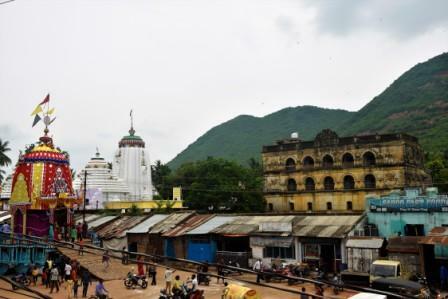 Although, smaller in size, the Ranpur Jagannath Temple resembles the Klaingan architecture of Puri Temple with Rekha Deula, Jagamohana & Natya Mandapa. The temple pond is called Narendra Sarovar (same as Puri’s since both ponds are used during Chandan Jatra), also known as Gaddi Pokhari. Both the roads are named Rath Road, both have Badadanda, both have dedicated Gundicha temple & Ranpur sahi names are quire similar to Puri’s. 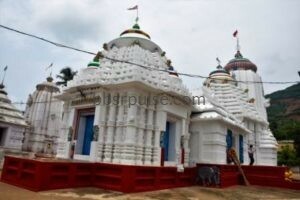 All rituals of Puri as well as the 13 festivals in 12 months are also observed at Ranpur. Like Puri’s, the temple prasad – abhada, is also available here but on one day prior booking for bulk orders. 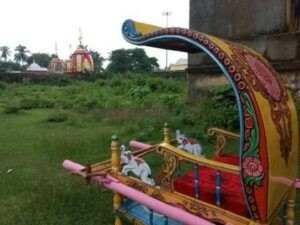 Raja Sarangadhar Bajradhar Narendra Mohapatra had introduced Ratha Jatra at Ranpur in 1754 and is continuing till the present time. 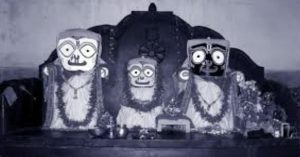 Its believed that the original Madhava idol was replaced by wooden idols of the triad, originally meant for Puri’s Nabakalebara which could not be performed there at that time. Initially, the Ratha Jatra consisted of five rathas, namely Jagannath, Balabhadra, Subhadra, Krupanidhandeb and Gopinathdeb. During the period of King Brajasundar Singh Narendra Mahapatra (1821-1842 AD), the heights of these Rathas were made four times longer than the height of today’s Puri Ratha. The royal palace of Raj-Ranpur, locally known as Rajbati is a newer one. 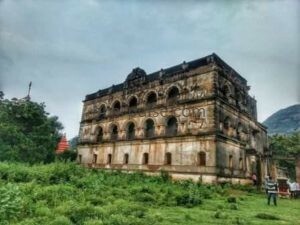 Raja Ramachandra Narendra (1528-1558) had built another Rajbati at atop Maninaga hills which was shifted later to present location due to tropical heat. Raja Benudhar Narendra had built the Rajbati in 1727* at present location just adjacent to north gate of Jagannath temple in an area of around 46 acres. There are some separate building in the premises – two Rani Mahals, paika sala, akhara sala, go-shala, ghoda sala , paka sala etc. Although not in good condition, but I had an opportunity to visit the ground floor of the Rajbati while the head priest of temple ventured into the private palace to invite the Raja for chherra pahanra (customary chariots sweeping). 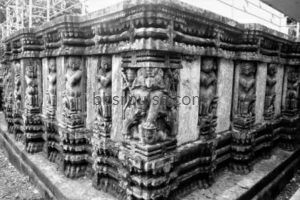 Maa Khilamunda is the ista devta of the Ranpur Royal family. 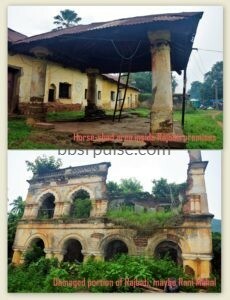 There is temple inside the rajbati premises dedicated to her, but in dilapidated condition. 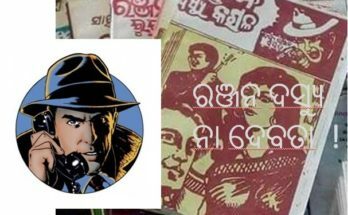 Ranpur is a perfect holiday getaway from Bhubaneswar (70+km). Nearest places of interest includes Maninaga hills – a trekking of 6 kms gives a bird eye view of Ranpur town. There’s one ancient temple atop Maninaga hills. Maa Khilamunda temple is on a nearby hilltop. 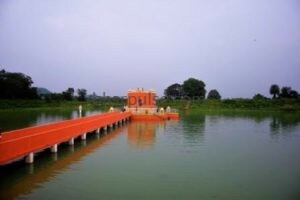 Sagara Pokhari, Nrusingha Temple, Chandeswar temple are all in the vicinity. Asurakumari jhar waterfall is around 8kms from Ranpur and a popular picnic spot. There’s one dam nearby called Bhetabar dam, around 20kms . Very near is Mangalajodi wetland, the birding paradise. While returning back from Ranpur, one can touch Olasing, the weavers village and Kaipadar’s Bukhari Baba Dargah.Overall, Ranpur area can be developed into an eco-tourism destination and best recommended for cycling tour from BBSR or Cuttack. 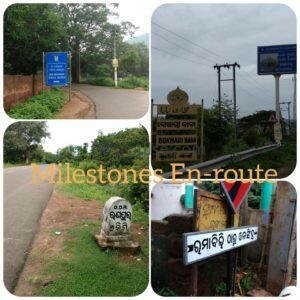 Milestones en-route to Ranpur ! 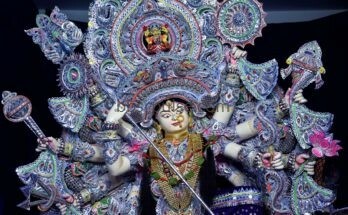 Dwitiya Sri Kshetra as per Wikipedia is Baripada,Mayurbhanj.